Love the opening paragraph. I know too many of these users! Chris, you bring up a good point, and is one I’ve been contemplating myself for some time. MSFT has put themselves in an interesting position. 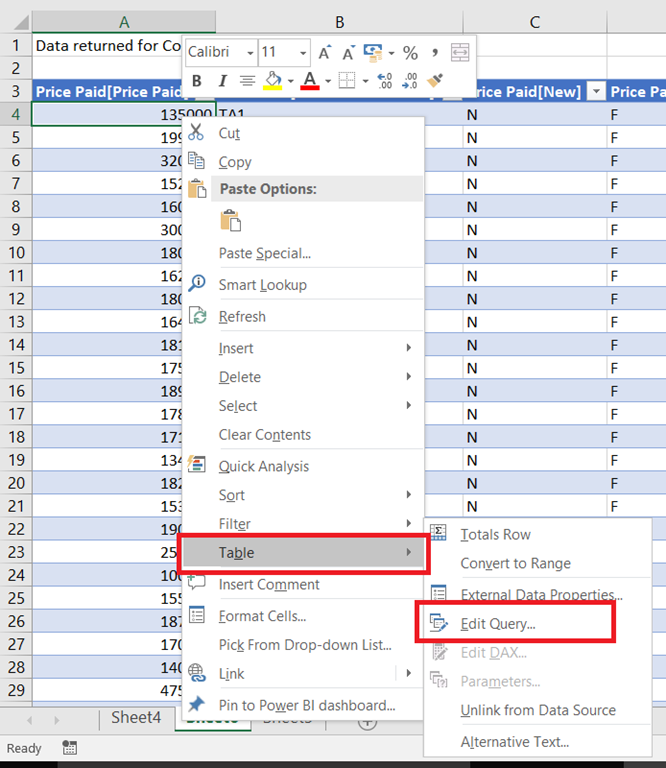 They’ve created a great data mashup experience (PowerQuery — my users love this) and have a top-notch engine to perform analytics on the end result, but there are times when you want access to that data outside of PowerPivot/Power BI/SSAS. Of course, it doesn’t look like MSFT is going to make that easy for people because they want them contained within their ecosystem. Against my better judgement, I’ve used SQL Import and Export Data tool to export data from a tabular model hosted within PowerPivot/Power BI before, and there are users that want to leverage Python or other tools to integrate with that engine. In one way, I think it’s a terrible idea to use the Tabular engine for building any additional integrations off of, but on the flip side it’s also not great to have to rebuild calculations/APIs for data access that could yield different results from your Tabular model. What do you think? Every word in the rock. I used this approach in my previous job, and it was one of the most successful “report” ever, some users want to act on the most detailed data, others take those Excel dump and create their own reports using other tools, obviously a lot of users are just happy with the PowerBi reports as it is. PowerBi is a great tool, but there are a lot of scenario were Excel is much better, nothing can beat a Pivot Table yet, and there is no way to filter a table visual or simply print a table with multiple pages in PBI. It does work as long as you enter a valid DAX statement. Excellent article, thanks very much for sharing. I too find the need to create “Data Dump” reports from my tabular model. I use Power Query to connect to my SSAS tabular model. From there it’s just point and click. 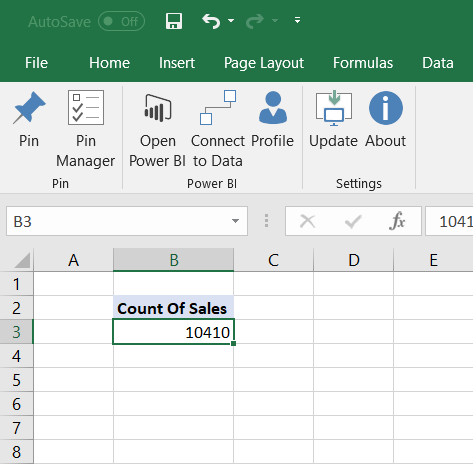 Did you dive deeper in to connecting directly to Power BI service from Power Query? I have made an attempt using the SASS connection in Power Query but I get “we couldn’t authenticate with the credentials provided”. I am not sure if this is a Power BI restriction or due to access to Power BI only possible via the company VPN. I did try it and it does not seem to be possible – at the time it seemed to me to be an authentication problem too. Dataflows can now do this. I have seen the entire video. Congratulations. Power query can use as an input many excel worbooks or tabs but I have not seen the reverse. i.e. any way to create as an output many workbooks or tabs from just one query. 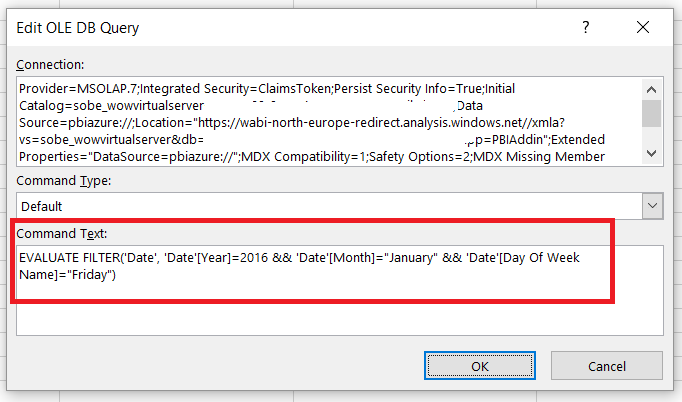 There’s no M function “save query output as an Excel file”. Do you suggest any idea to accomplish this task? Many thanks in advance. Maybe I could carry out the filters further with VBA… I wouldn’t like a solution as to use R in Power Query, but I’m afraid it is the only solution. I would love to do all in Power Query! You can’t have more than one output from a query, unfortunately – the best thing you could do would be to create a function and then create multiple queries that call it with different values. Why not use a pivot table? Thank you Andrew! I have evaluated the option “Show Report Filter Pages” from Pivot Tables… but the filter is not related with another table. But now with “Power Query online” (DataFlows) and Microsoft Flow I believe I can automaticly split my Excel file in multiple files… I am trying & enjoying with these new feeatures! Is it possible to implement this with Direct Query? Is it possible to do this in Direct Query mode? Yes, it should work in the same way. 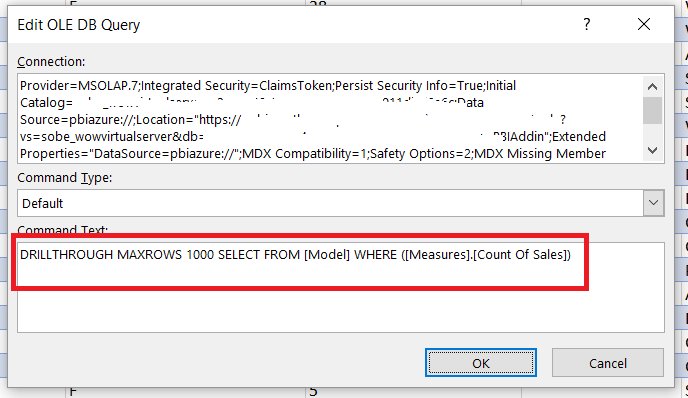 I’m prompted with a “DirectQuery Error: MDX/SQL operations are not supported in DirectQuery mode.” upon double-clicking or right-clicking to “Show Details”. I’m assuming there’s no workaround? Ah, are you using DirectQuery with an older version of SSAS Tabular? That would not work. Ahh okay, that’s what I get for bypassing the update. Thank you for your help! 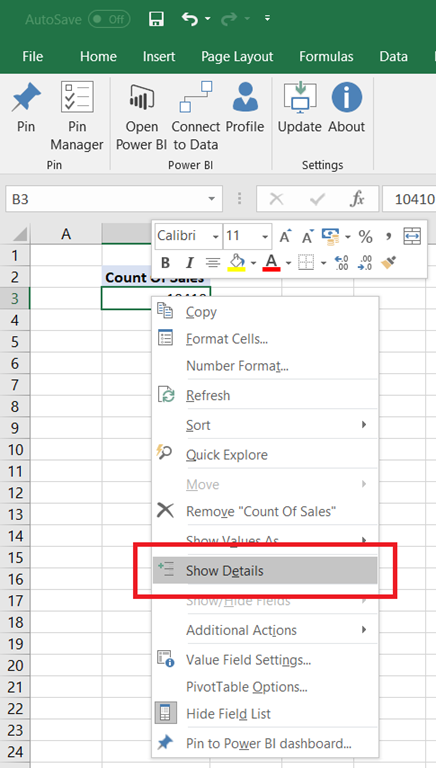 2. by using the Connect to Data option in the Power BI Publisher for Excel add-in. Thanks for sharing. I’m learning from your blog and all the pros who posted here.